Now that things have settled down after the gluttony of Mardi Gras and Valentine's Day, Lent is a season to reel things in and get centered. And by "things," we mean meat. That's why these next few weeks are the time to pivot towards lighter seafood and fish dishes, which both abound throughout Chicago steakhouses. Benny’s Chop House: Elegant seafood creations abound at Benny’s Chop House, from starter courses like silky lobster bisque to indulgent sides like lobster-infused mac & cheese. And then of course there are seafood entrees like sea scallops with rainbow chard and king salmon with red quinoa, cauliflower and watercress sauce. 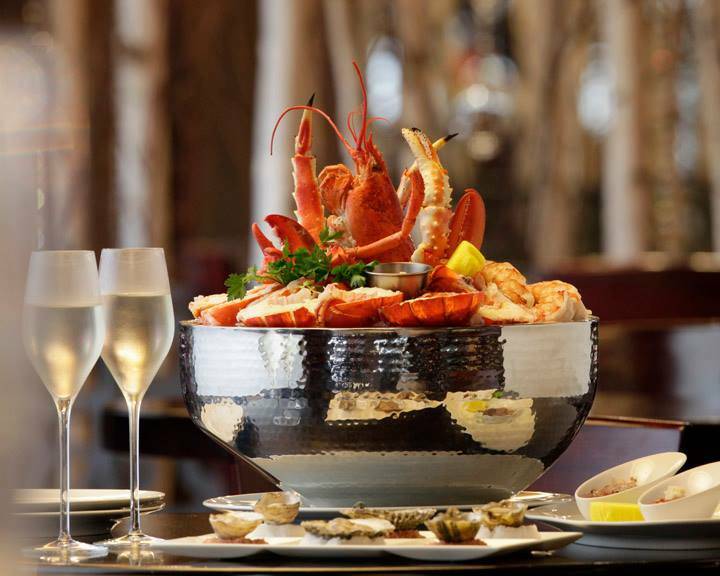 Don’t miss the impeccable raw bar, either, swimming with oysters, jumbo prawns and shellfish towers. 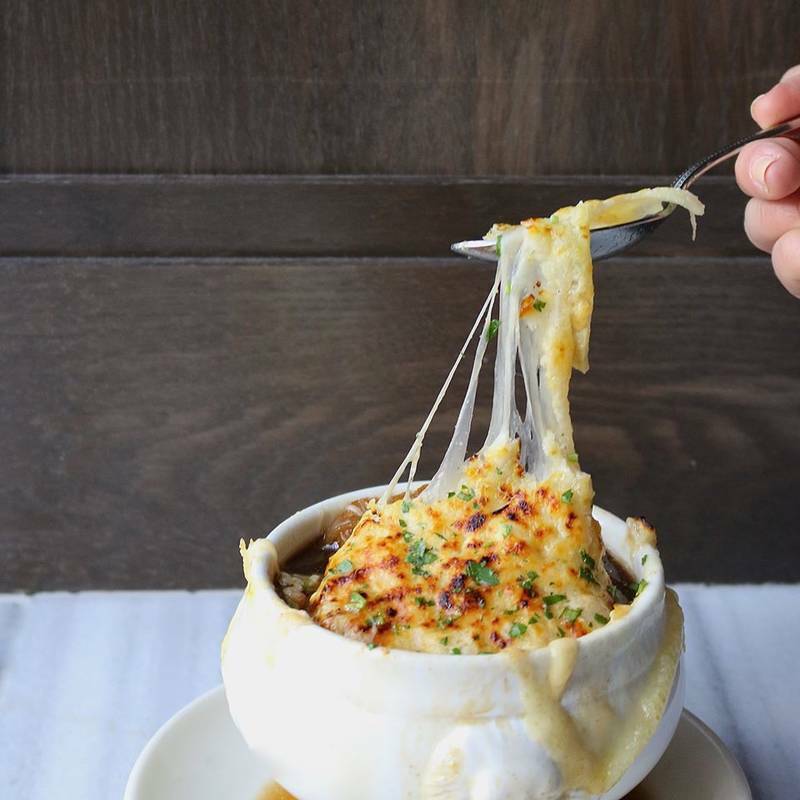 Chicago Chop House: This old-school River North icon has some of the mightiest seafood appetizers in town; so good you’ll want to make a meal out of them. There’s sauteed lake perch with lemon butter and parsley, crispy calamari tempura, crab cakes with lobster bisque sauce, oysters Rockefeller and sushi-grade yellowfin tuna, to name a few. And that’s just the tip of the iceberg, considering there’s a whole seafood entree section brimming with Chilean sea bass, broiled salmon and king crab legs. Sam & Harry’s: You’ll soon be hooked on Sam & Harry’s “From the Hook” dishes. The steakhouse’s seafood selections are impressively composed and beautifully presented, like a lemon sole with five-grain risotto, carrot puree, shaved Brussels sprouts, apples and spiced walnuts. Or striped bass with beluga lentils, roasted winter vegetable salad, blood orange and caper vinaigrette. Erie Cafe: This longstanding River North bastion is known for its steaks and chops, but soon you'll be regarding it for its stellar shrimp. Of the many great fish and seafood items here, like the crab cakes and baked clams, the shrimp stands supreme. Most notably because there are so many versions of it done so well. This is where the famous Shrimp de Jonghe can be tasted in all its glory; the classic Chicago dish is a casserole of whole peeled shrimp immersed in garlic-scented breadcrumbs. There's also French fried shrimp, or grilled shrimp a la George. III Forks Prime Steakhouse: Another prime example of a steakhouse with serious seafood panache, III Forks Prime Steakhouse has particularly extraordinary salmon dishes you'd be wise to order. Along with those sterling steaks, the seafood and fish dishes hold their own, as evidenced by dishes like Atlantic salmon with tarragon chimichurri, or a salmon Caesar salad that takes a classic to a savorous new level. Mastro's Steakhouse: Steak may get top billing at this meaty Mecca in River North, but don't overlook the pristine seafood dishes scattered throughout the mammoth menus. Chief among them are the seafood cocktails featured on the appetizer menu. 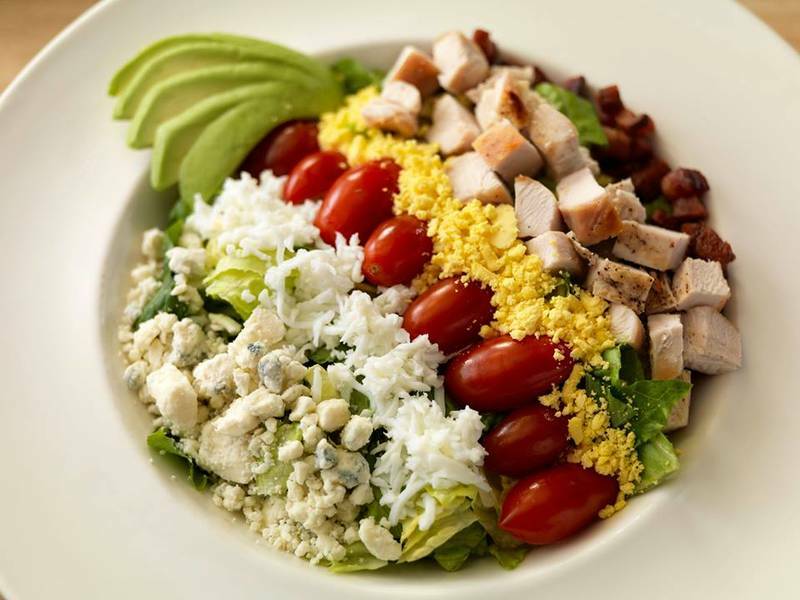 You've got a few options here, all of which are insanely fresh, light, bright, and bursting with oceanic flavor. There's the classic plump shrimp cocktail, along with a Dungeness crab cocktail and even lobster cocktail. And this is just the tip of the seafood iceberg at Mastro's. Chicago Cut: One of the most lavish steakhouse seafood dishes in town is also one of the most unusual. Combining lobster with French technique, the clever chefs at this famous steakhouse serve tail pieces in garlic butter with melted Havarti and crostinis. It works surprisingly well, and it's a surefire hit for those squeamish about snails.